Whether you’re a large or small business, everybody needs a helping hand when it comes to managing your IT infrastructure. Let’s face it, running a business is hard work and requires you to manage multiple things at once which can often be overwhelming and responsible for slipping standards. In this digital era that we live in, efficient IT infrastructure is vital to the success of a business, so if you’re struggling to maintain a fast, reliable, and secure IT system, why not have all of your IT systems managed externally by an IT support specialist so that you can focus on the other important aspects of your business? ICT Solutions can take this responsibility away from you with our IT services. Our managed IT infrastructure service takes away the burden of having all of your software, hardware, networks, and all related equipment on-site. When problems occur with IT systems it can be disruptive to your business, especially having to find time for repair work. Here at ICT Solutions we host and manage all of your IT infrastructure in the cloud so all of your files are stored off your personal devices. Our range of cloud services includes data backup, hosted desktop, hosted exchange and sharepoint with Microsoft, and hosted servers. With our cloud computing services, your devices will automatically have the latest updates, greater security, and will be running efficiently which will increase your business’s performance and revenue. One of the most important services that we offer is IT security. When managing your own IT systems it’s easy to let your guard down. With other business matters taking higher priority, security can be neglected which can have significant effects on your business as sensitive data can become vulnerable. Our security services provide you with peace of mind that your devices and data are always protected as we are always on top of software updates and latest security issues. We use AVG Cloudcare to thoroughly protect your IT infrastructure and increase your productivity with content filtering. Our managed antivirus and firewall services will ensure that your IT infrastructure will never be under threat from cyber attacks, and if security issues do occur they will be resolved immediately. In order for you to have an IT infrastructure in the first place you need to be connected. 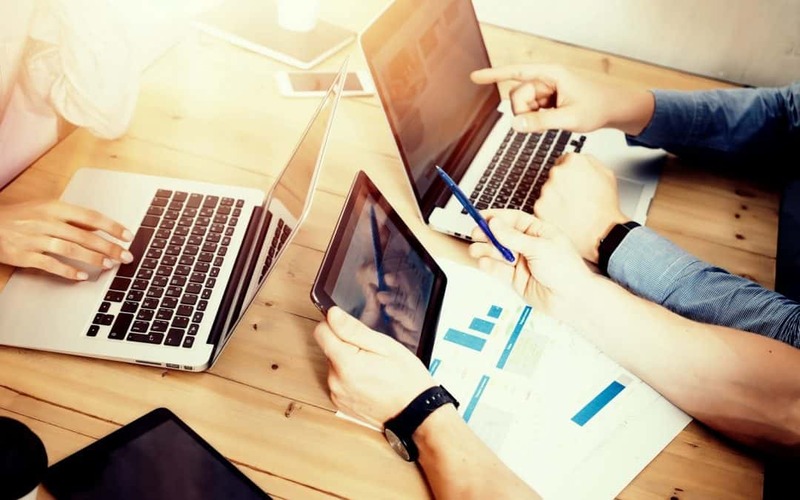 Efficient connectivity is vital to the productivity of your business. You need to be assured that you won’t suffer from connectivity failures as this disrupts productivity and communication. We specialise in network design and installation. We will firstly survey your area to check coverage and capacity. We will then design a wired or wireless network which will consider coverage, capacity, security and resilience of your connectivity. Our implementation process ensures that there is no disruption to your business as engineers aim to install with little network downtime. Once installed we will run a final survey of the site to ensure that everything is working reliably and efficiently. In the past, having software on your devices meant having to buy each programme individually to install onto your computer. However, with ICT Solutions you can have as much software as you need on all of your devices. We use various software packages including Amazon Web Services, AVG Anti Virus, Microsoft Azure, and Microsoft Office 365. Handling and managing some of these packages can be alien to some people which is why it’s helpful to have experts manage them for you, that way you get the benefits of the software without the headache of managing them. You can find out more about each of these software packages here. ICT Solutions are a leading IT support company in Liverpool for a reason, as not only do we provide the best services, we work with world class software and security providers. Each of the services we offer is managed from beginning to end and we provide ongoing support. If you’re interested in using us as your IT support specialist and you would like to find out more information, give our professional and expert team a call on 0151 230 2424.